While exploring Amazon for an entirely different CD, I came across The Psalms of David - Choir of King's College, a two-CD collection of thirty-six hymns from the Psalter. I ordered it although it seems to be currently unavailable. I own several CDs of British hymns. One of my favorites, purchased back in the eighties, is Psalms of Scotland by the Scottish Philharmonic Singers and I decided to see whether it is still available. It is. Amazon offers it as MP3 collection for $8.99 — not bad at all — but the lowest price for the CD is $95.99 (the only other offer asks $274.84). I had no idea I possessed such a valuable disc. I think I'll keep it. 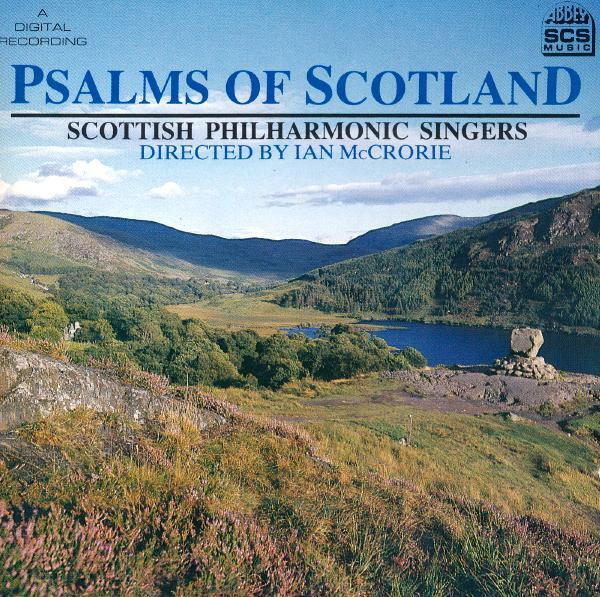 The Psalms of David in metre have been sung in Scotland for over four hundred years. In 1582, when John Dune returned from exile to Edinburgh to be Protestant minister of St Giles', a large crowd accompanied him up the High Street singing Psalm 124 in their own tongue — and in four parts — with "a great sound and majestic." Of the Scottish Psalter's many sources, a prime one was Geneva where in the mid-fifteenth century English, Scottish and French Calvinists found refuge. Taking their own translations of the psalms and their tunes with them, they brought back others to their own countries. While the precentor still leads the praise in some Reformed sects, there was a movement towards the end of the eighteenth century in Scotland to form and train parish choirs. At about the same time the Scottish Paraphrases were added to the psalms for public worship, to be followed much later by hymns. …. with songs surround the throne! but all their hearts are one.